Creativity and the beauty and wonder of the natural world have always guided Diane Elsass-Joyal's life's journey. Diane is a trained artist, a self-taught antiquarian, and designer by practice. Perceiving beauty is what Diane thrives on. She has been a working artist, owned an antique and architectural salvage shop and crafted holistic products. Bowerbird was nested in her mind long before it took flight. In the past few years, the floral seed sprouted. She was overcome by the beautiful, floral-based blogs, and thought, this might be the next spark she'd anticipated. Slowly but surely, Diane guided her dream to life. In March 2014, she headed to Brooklyn to learn from the greats at Saipua. Owner Sarah Ryhanen started the floral/soap business about a decade ago. Sarah is known for inspiring people just like Diane to start floral businesses from the ground up. Lily is a recent graduate of the University of North Carolina at Asheville where she earned a Bachelor of Arts with a concentration in painting. She enjoys making her own bath products and has recently started learning about herbalism. As Diane's daughter, Lily has always helped her mother when she can, officially joining the Bowerbird team recently. Working alongside her mother, who is also a trained artist, has helped her transition into the three-dimensional world of floral design. Lily's paintings are mainly inspired by color, value and texture, and she carries these elements into her floral work. Lily is also always on the lookout for other florists on Instagram to draw inspiration from. Through flowers, Lily hopes to bring beauty and art to people’s everyday lives. 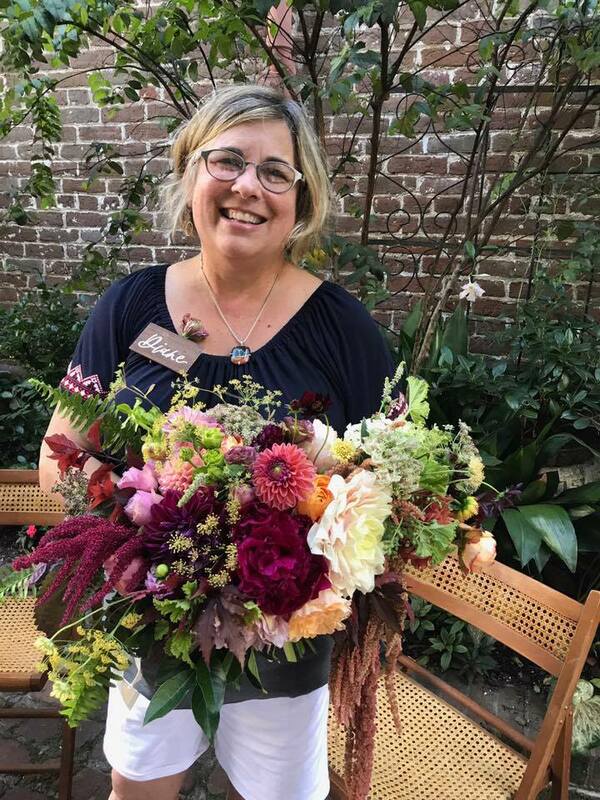 By week, you'll find her in the studio at Straw Valley flowering, and by weekend, she's in the beautiful venues that call the Triangle home, helping to bring Bowerbird brides' visions to life! Grace is a storyteller by trade, so sharing the long and winding tale that is Bowerbird Flowers comes naturally. Working with her mother and sister is an unexpected bonus. Grace works as a TV news anchor and reporter in the other Carolina. When she's not tracking hurricanes or finding characters, she's enjoyed creating a voice for her family's business. While the work mostly ties her to an Internet connection, Grace loves helping her mother and sister out on wedding days - she thrives working under a deadline! Bowerbird Flowers' work speaks for itself - Grace's job is to share it with the world, and hopefully, inspire others to engage in the growing world of flowers.